Located in the popular residential area of Maprachan Lake is this substantial European style family home. The home is recently built and the British owners have really made it a special home. The land area is 216 Wah and the floor area in the region of 350m² making it a very substantial property. The home has 3 double bedrooms all ensuite, 2 living rooms, dining room, full European kitchen, large reception hallway, ample storage and 3 separate bathrooms. On the second level it has a large room that the owner has turned into a games room with full size snooker table and bar. It really needs to be seen to be appreciated. 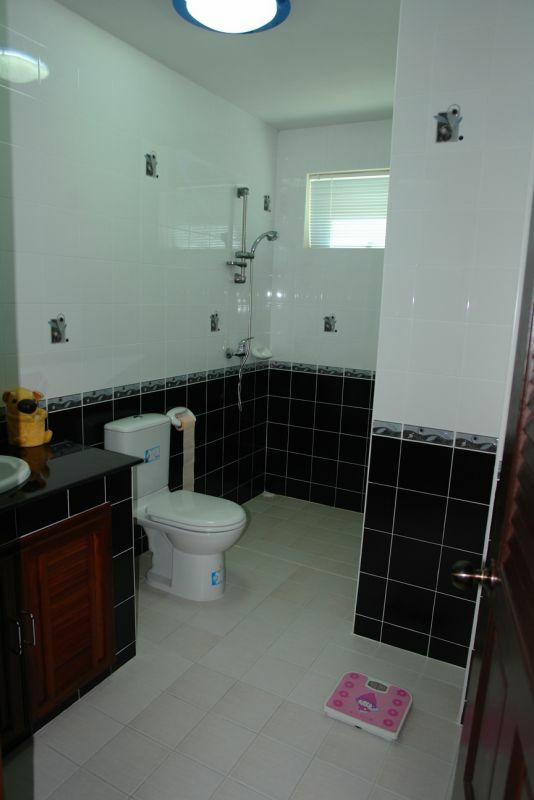 The house has full A/C, UPVC windows with full mosquito screens, covered carport, separate maids room, hot water throughout, bore well, landscaped gardens and large private swimming pool. The home is held in a company name and this is included in the asking price so no tax and transfer fees. Owner will consider to rent but for long term rental of 1 year+ terms.